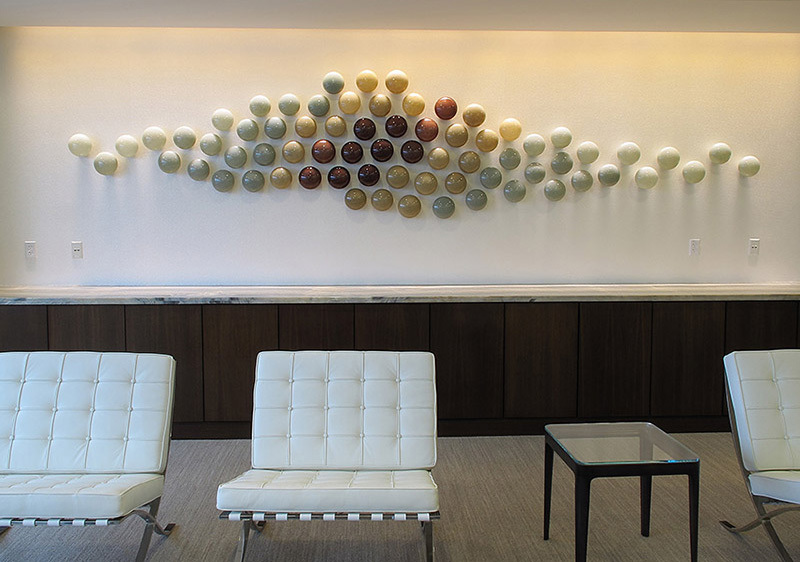 The making of this contemporary art glass wall sculpture installation was a 4 month process. There were many steps involved from start to finish. A time lapse video at the bottom of this page shows some of the 4 month process. We were contacted by Kate Sweeney, Founder of Perspective, an art advisory firm based in London, UK. 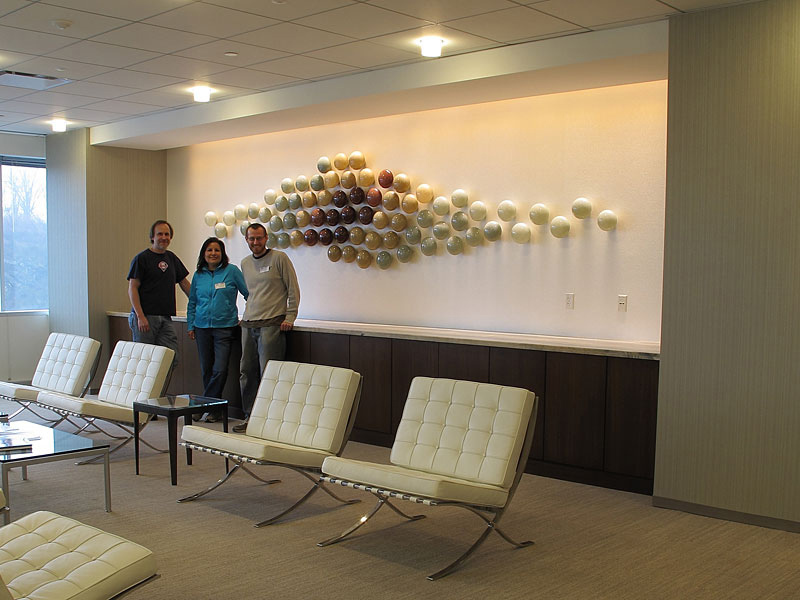 The project was for the newly constructed building headquarters for the Endo Corporation located in Malvern, Pa.
Kate felt we would be a good fit for this part of the project. 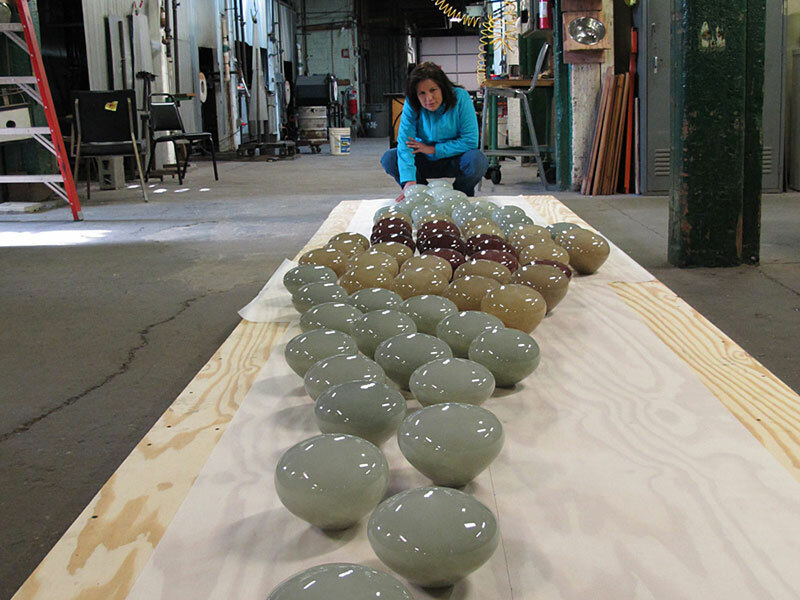 Kate and the architects provided some initial ideas for a glass wall sculpture installation. The glass sculpture was to be located within the executive seating area. 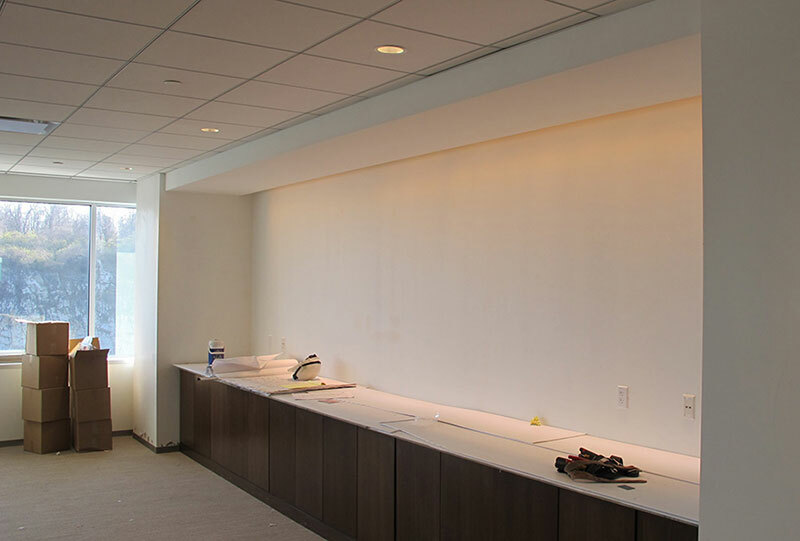 We were fortunate to be able to visit the site location for this project. The Endo Corporation is located near an old rock quarry. This gave us a better understanding of the surrounding environment… And aided us in creating the design concept. The surrounding rock quarry became the main inspiration for the color tones and overall design. We worked closely with Kate, the head art adviser, and the architects. We created a design to fit their criteria and ideas. 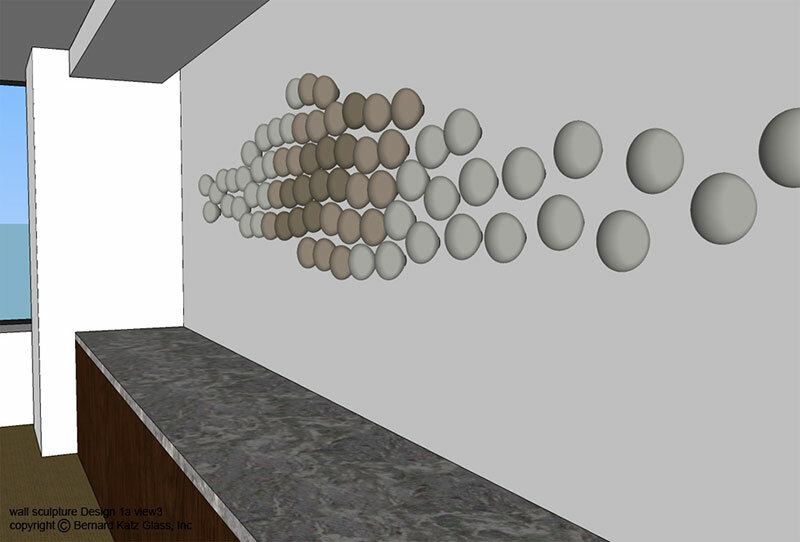 A contemporary design with ‘ball’ like forms and neutral-warm tones was requested. The design of the glass wall sculpture consisted of 70 hand blown glass forms. 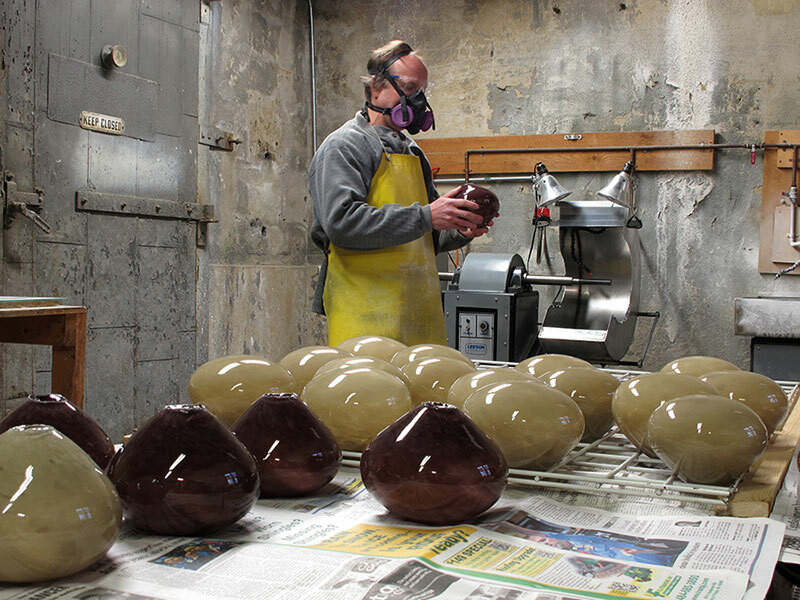 To finish the glass forms, each piece was ground and polished as needed. To make sure the proper placement of each glass form was correct; a full scale template was made. 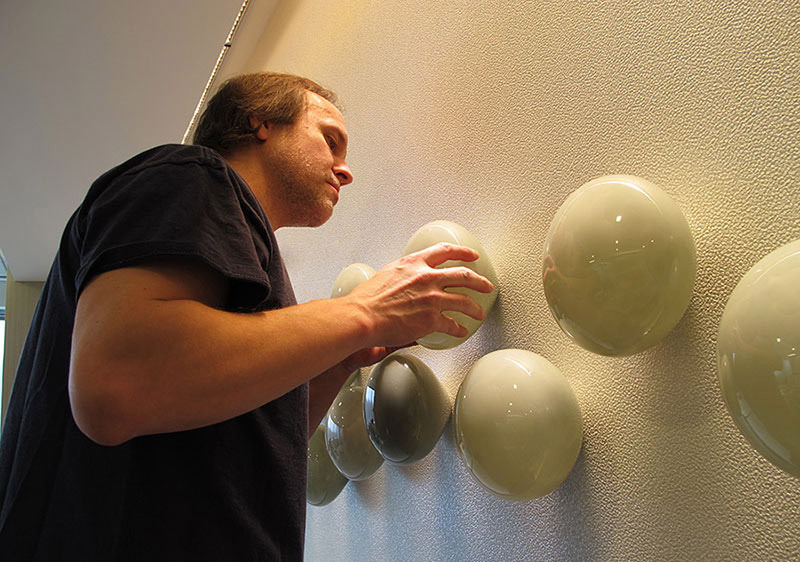 For the final installation, each glass form was carefully adhered to the wall one at a time. This ensured for proper placement of each piece. 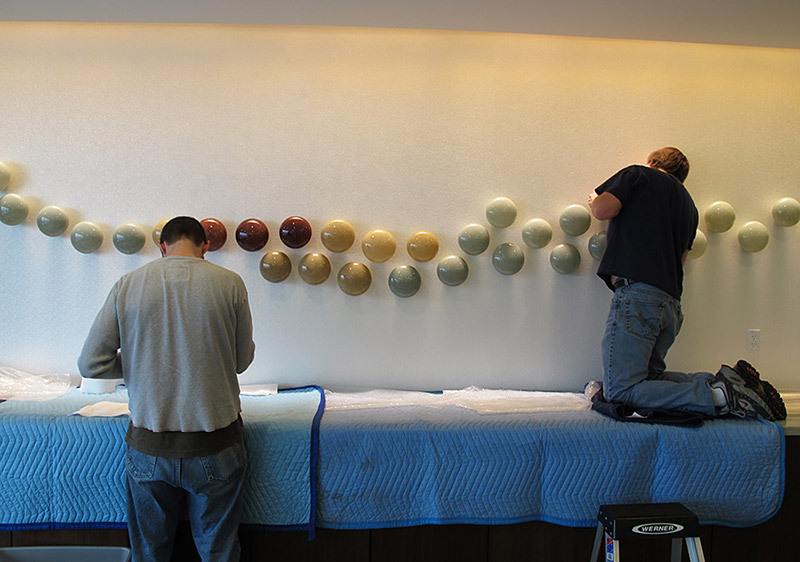 The video below shows a time lapse start to finish in creating this glass wall sculpture installation.